We carry a line of corrugated sheets and pads that are perfect for a variety of uses. Cardboard pads can be placed between objects for extra protection or as stiffeners in products such as envelops. 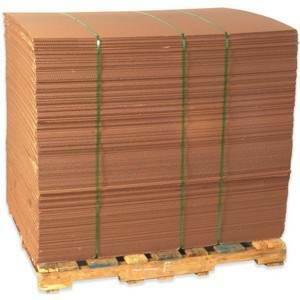 Corrugated sheets also work great for separating layers of items on pallets to help to disburse weight and protect against strapping, forklifts, and other sorts of damage. We provide both single wall and double wall sheets.